DESCRIPTION: Up to 14mm. 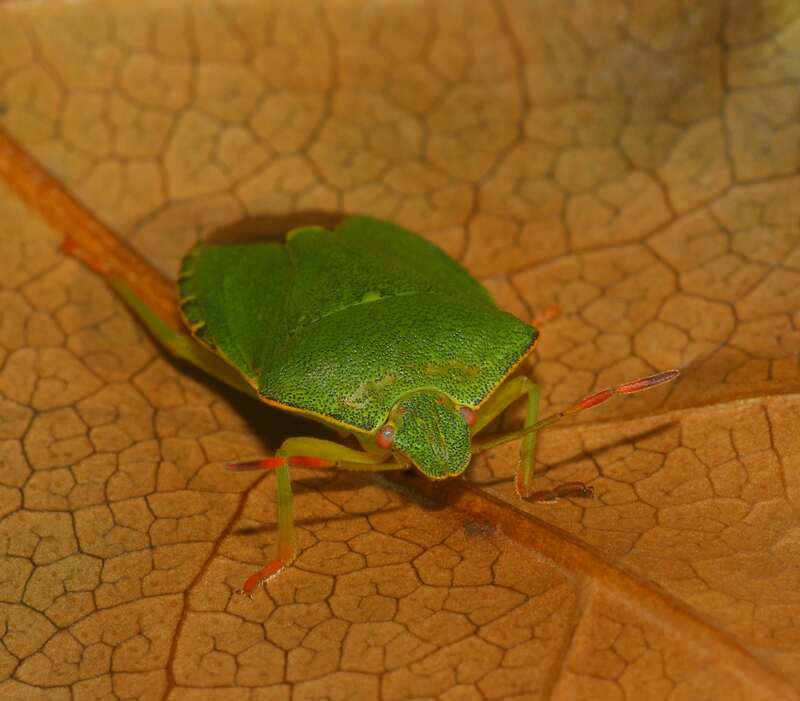 A largish bug that is primarily green with fine dark punctures throughout the summer months but has a hibernation colour of brownish-bronze. The wing membrane is dark and the 4th and 5th segments of the antennae are reddish. BEHAVIOUR: Mating is back-to-back. The female lays her eggs in hexagonal batches of 25 to 30, and a single female will lay three to four batches. This species often congregates in loose groups and certain areas of vegetation can hold good numbers. The Common Nettle seems to be a favoured basking site. Feeding takes place on a wide range of trees and shrubs. HABITAT: Parks, gardens, woodland edges, hedgerows and pathsides are a few of the places favoured by this charming creature. PERIOD: Can be found all year round but generally April to September is the best time to come across this common bug.